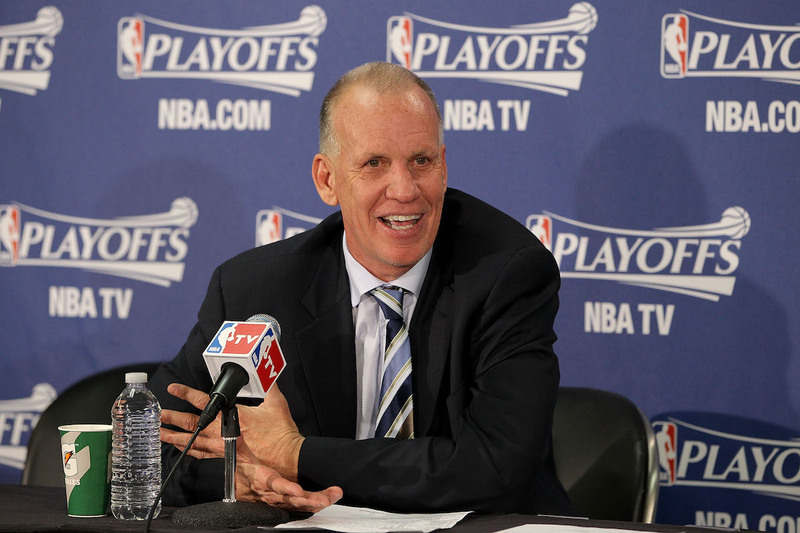 Doug Collins talked to the media Tuesday about his new role as Senior Advisor. The Bulls Tuesday signed a former four-time All-Star with a great shooting touch and unparalleled basketball knowledge. Yes, he’s 66 years old. But the foundation, which is out of sight, does support the strength that makes up any final edifice. The Bulls hope to construct a towering new model of excellence. They believe they have added a rock who will support the structure. 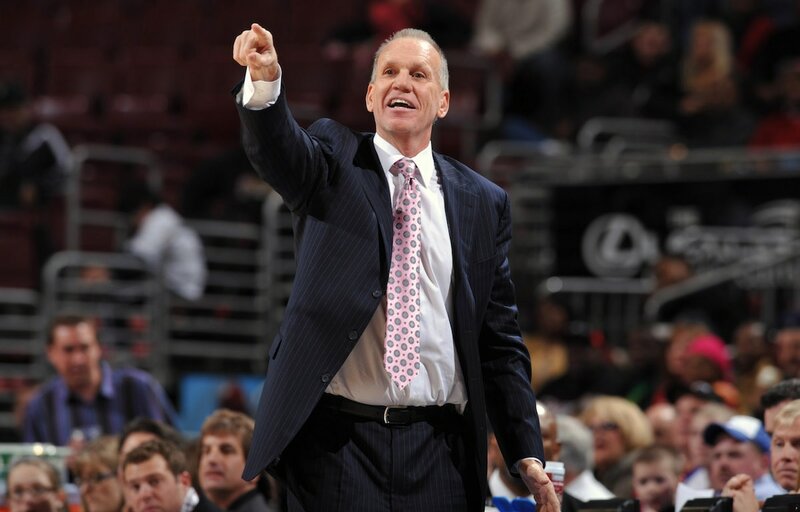 “As I got older, I wanted to end my career like this,” said onetime Bulls coach Doug Collins, who is returning to the organization as a senior advisor. “Being in a position where I can be a mentor, an older guy who has seen it all, the highs and the lows. What I’ve always said about the game is that it’s given me the greatest of highs and it’s also broken my heart. But yet at age 66, I stand here and I’ve never loved it more. Being older than Doug, I wasn’t fully sure what that meant. But I do know that having Doug Collins around means that you better be awake all the time. Because few who ever have been in basketball combine more energy with passion, enthusiasm and intellectual challenge. Collins can’t score any baskets for the new, rebuilding Bulls. Nor can he stop anyone from doing so. But as an advisor to the coaching staff, management and front office he will bring both his wisdom for the game, his eye for talent, his genius for strategy and his big city spirit from his own humble beginnings in rural, southern Illinois. Excellence in sports is about the talent in the game. But Collins can also help in supporting the people who are seeking the talent and putting it in position to succeed. He’s done it, seen it, managed it and analyzed it. Who better to consult? No change; merely, an addition. It is generally better to have more. Collins is not in line to be the next coach or interim, an assistant general manager or executive of any sort. Perhaps sell a few tickets? OK, maybe, but Collins also made it clear as he closes in on his seventh decade he has too many other priorities with five grandchildren, his son coaching Northwestern, his son-in-law a coach in Pennsylvania. Enough with chasing all over the NBA winter. But just in case anyone was still wondering, well, there’s a reason they give the full social security at 66. “One of the things we talked about when Jerry and Michael (Reinsdorfs) and I were together at dinner one night was the first thing that must be known is that under no circumstances am I going to coach here,” said Collins. “That should not even be a question. I know there’s still going to be people who go, ‘Yeah, sure. How many times did this guy retire and come back?’ That kind of stuff. So I get that. But I’m not going to coach. I’m not going to give up my life. The hours and the time commitment that Fred Hoiberg puts in a day and the energy that he spends and being on the road and being away from his family, I’m not going to miss any Northwestern games, and I’ve got a son-in-law who coaches outside Philadelphia at a high school. I’m going to be there. I’m not going to miss that. It worked perfectly in my schedule when I talked to Pax that I could be a part of something special, the Chicago Bulls, and I love the Chicago Bulls." But Collins will be talking, which is fine with the Bulls. Because a 30-win Bulls team improved to 50 wins by his second season coaching, Pistons and Wizards teams added 18 wins in his first seasons coaching them; his inaugural 76ers where he started his playing career were 14 wins better the first season he coached. Collins knows this is different; not only with his less active role, but where the Bulls are now compared with previous seasons. There are going to be a lot more losses this season than last; than really every season since 2004. But Collins also knows it’s the right time for the Bulls and he wants to be there—in part in longtime appreciation for the Bulls giving him his first head coaching job—to help see the franchise again built upward. “The moment they probably started to slide was the day Derrick Rose tore up his knee against us in Game 1 of the playoffs (against Collins eighth seeded 76ers in 2012). That moment when Derrick was never that player again,” Collins noted. “In the NBA, you win with special players, difference makers. You get the right people around them that can play the way the game is played today with spreading the floor and three-point shooting and being able to defend. My perception reading the last couple of years is it’s been a little bit of a piñata (for the organization). They’ve taken a lot of hits. Collins said he is giving up his ESPN broadcasting duties and as now an NBA team employee can no longer have contact with Northwestern players. But he’s ready for yet another new challenge, a big one certainly, but hardly more than being a six foot, 135 pound backup on his small town Illinois high school team on the way to being an Olympian and first player selected in the NBA draft. It’s been six Bulls championships since Collins was replaced by Phil Jackson in 1989, seven head coaches and two interims, working on a third rebuilding, five subsequent All-Stars, a league MVP, an executive of the year and one very, very bad knee injury. But these things happen in the NBA. The Lakers are going through several years among the poorest teams in the NBA; the Celtics did for almost two decades, the Knicks for four. “My history, if you want to look back on it, when I went to the 76ers, they were 9-73. They were the worst team in the history of professional basketball,” said Collins. “Four years later, we were playing for a world championship. See how things quickly change? The NBA is cyclical now. Other than the San Antonio Spurs, over the last 20 years every elite franchise has gone through this moment. Now you’ve got to dig yourself back up. We’ve got to start doing all the things that are necessary to gain assets day by day, to put in all the work so we’re going to give ourselves a chance. When we get better players and more talent, you’re going to win more basketball games. I’m not going to be down on the court. I’m going to be sitting up in the stands somewhere. It’s Fred’s team. I’m not going to get in the way of that at all. He’s the coach of this team and it’s going to be a very interesting team. I think absolutely I can help. It’s hard for me to sit up here and put this into what is the definition of your job. Because I think it’s going to be a lot of different things. But the one thing I want is to be an asset for this organization, to provoke thought. It’s an answer to prayers in a lot of ways. I’m a mentor. That’s when I’m at my best. Those who know Collins doubt that; which is the good thing for the Bulls.